How do I access my N drive from home? 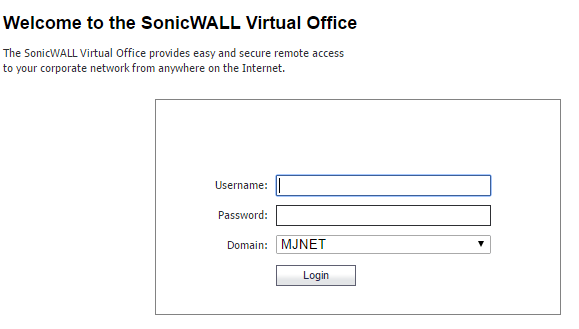 You can access your \N: drive from anywhere in the world provided you have Internet access. Navigate to the Marjon website www.marjon.ac.uk and scroll down to the bottom of the screen to view the black bar. Under the Staff and Students Menu, click on the link to VPN access (this stands for Virtual Private Network). You will be able to view documents stored on the N:\ drive. How do I add files to the VPN? You can upload files onto the N:\ drive remotely. Select Browse and search to find the required file. 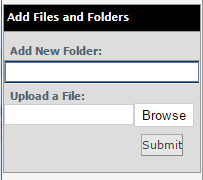 Once you have selected the file, click the Submit button. Your file should be visible on the right hand side. Note: If you receive a message stating that you cannot insert a file with the same file name, you must delete the original document from the VPN before uploading the new one. Please be aware you are connecting to the network as if you were in Marjon, therefore you should not leave your computer unattended once connected and always close your web browser when you have finished your session. How do I delete a document from the VPN? To delete a document, tick in the box located on the far right of the window. Select the Delete button. This is located on the top, in the blue bar. Close the window when finished.